Your baby's social and emotional development is amazing to watch. She'll delight you with smiles, coos, and giggles - and frustrate you with screaming and crying. Here you'll learn about your baby's blossoming personality and how to nurture her no matter her social style. Quiz: What's Your Birth Order Personality? It's no secret that birth order plays a role in how we do things, which career we choose, and how our relationships play out. 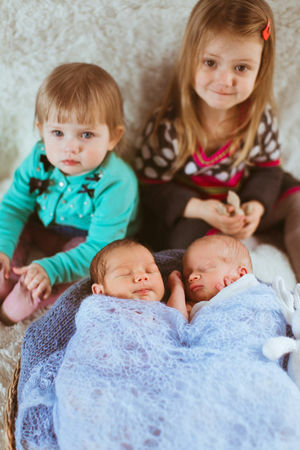 Take this fun, 10-question quiz to see how your birth order personality matches up with your actual birth order. Check out these simple and fun ways to help your baby grow and develop emotionally. Jamie Loehr and Jen Meyers, authors of "Raising Your Child" recommend these activities that will make your baby feel loved while encouraging her social and emotional development. Your Baby from 4 to 6 Months: Personality! 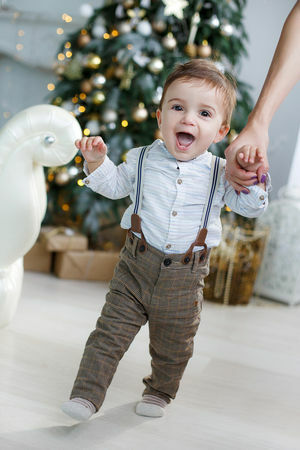 The sight of you makes your 4-month-old baby smile, and he may fuss when you leave, both signs that his social development at 4 months is right on track. Learn about his emotional and language development, and see what other 4 month old milestones your baby should have! 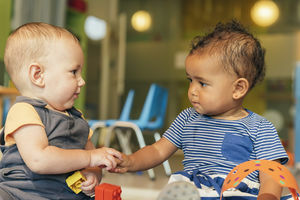 Build trust and confidence with your baby to boost his social and emotional development with these activities from Jamie Loehr M.D, and Jen Meyers, authors of "Raising Your Child." Jamie Loehr and Jen Meyers, authors of "Raising Your Child" suggest these activities to help Baby feel comfortable in social situations as well as grow emotionally. Here's a primer on nine of the most common birth defects: their prevalence, causes, symptoms, and treatment. Help Baby develop socially and emotionally with these activities suggested by Jamie Loehr, M.D, and Jen Meyers co-authors of "Raising Your Baby." Your baby may be sleeping a lot, but there are still plenty of milestones to be on the lookout for. You probably learned the signs (and sounds) of an unhappy newborn early on. But the signs of happiness can be more mystifying. Baby doesn't even hit the first true happiness milestone, smiling, until after the first month! Here's how to tell if your tyke is feeling fine. Over the course of 12 months, your baby's gummy grins will transform into ways of expressing pleasure, communicating with you and developing a sense of humor. Here are those stages in detail. 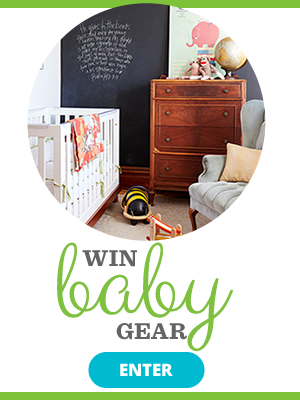 Wish your little one would just tell you what the heck she wants? Turns out it's written all over her face. Quiz: What's Your Baby's Personality Type? Every baby has a distinct character that most likely matches one of the two main personality types: Type A (intense and highly motivated) or Type B (laid-back and content). Find out which type fits your tot! Just because she can't talk doesn't mean your little one doesn't have important things she wants to tell you. Your baby's personality is unique, even from an early age. One baby might be quiet, another alert, one aggressive, another laid-back. Over the first few years, your baby will develop the personality type that will follow him into adulthood. Learn how your baby's personality is formed and how to encourage healthy development. 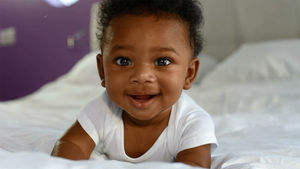 New research suggests babies as young as 6 months old show signs of bias against people of different races. Sounds will interest your four-month-old a whole lot more, and she'll be making more sounds of her own. These catchy little songs and poems are more than just entertainment. Amid the mess of mealtime with baby are some serious life lessons, apparently. Get ready for the most exciting milestone yet: a smile! Do you wonder if your little one is eating enough, sleeping enough, and on track for all those important milestones? Check out these easy-to-spot signs that prove Baby is both happy and healthy. Your baby learns to be affectionate when he feels your love for him. Even newborns want to play. Here's an age-by-age guide to the best games for babies. Even though your infant can't do much more than smile, poop, eat, and cry, it's hard to resist the urge to gaze into her little face and imagine what she'll be like a few years down the road. Will she be sweet-natured and shy like her dad, or a social butterfly like her mom? A rocket scientist or class clown? For the most part you'll have to wait and see. Still, the first year does provide compelling hints about how your child will turn out. The innate parts of your baby's personality help determine how he eats, sleeps, and responds to new things. Identify his dominant traits and you'll find the easiest way to keep him comfortable and content. 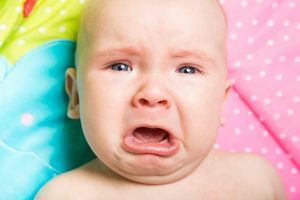 New research says babies' cries reveal how early we start gender stereotyping them.